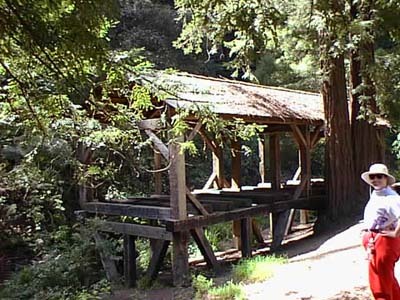 Two miles west is the old saw mill, from which the city of Mill Valley acquired its name. 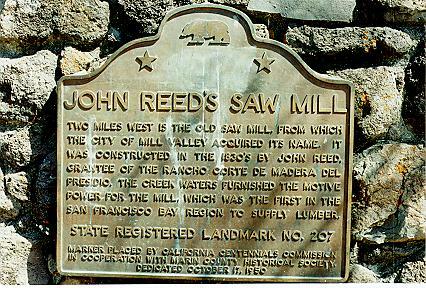 It was constructed in the 1830s by John Reed, grantee of the Rancho Corte de Madera Del Presidio. 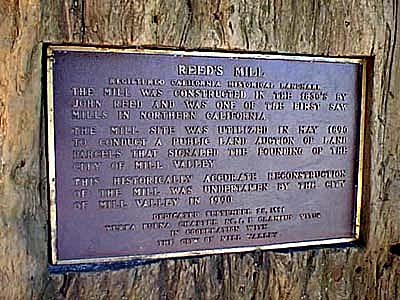 The creek waters furnished the motive power for the mill, which was the first in the San Francisco Bay region to supply lumber. Old Mill Park, Throckmorton and Cascade Dr, Mill Valley; plaque located at NW corner of Blithedale Ave and Tower Dr..